MAYLANDS and Noranda ratepayers can ask rangers, police and a service provider questions about community safety at two upcoming forums. 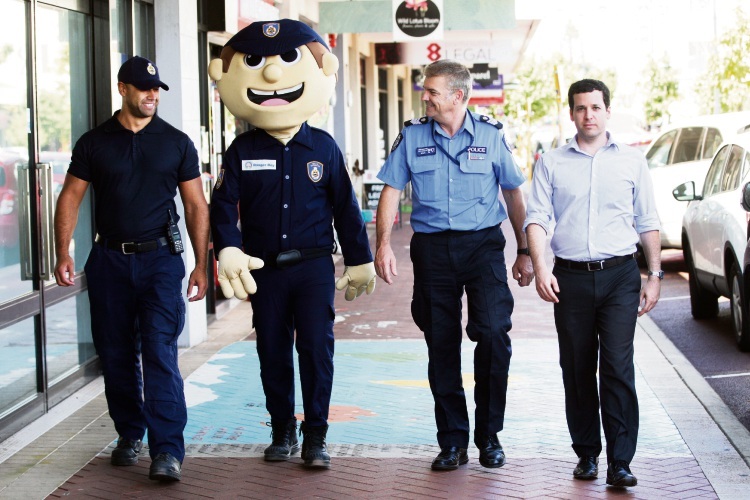 City of Bayswater, Bayswater and Ballajura Police and Ruah Community Services are hosting community safety forums for residents and businesses at the Maylands Autumn Centre on April 16 from 6pm to 7.30pm and the Morley Noranda Recreation Club on April 23. Bayswater Police officer-in-charge John Waghorn said the main crime issues in Maylands included anti-social behaviour, burglaries and mailbox thefts. “We take our resources to where we know offences are occurring as opposed to where we think they are occurring if no one reports it to us,” he said. Senior Sergeant Waghorn encouraged as many residents to attend the forums as possible but said they could come directly speak with him at the station. Ballajura Police officer-in-charge Ian North said Acting Senior Sergeant Dale Searles would be attending the Noranda forum to answer questions. “Noranda is relatively quiet in terms of crime statistics,” he said. Councillor Elli Petersen-Pik said residents should raise their concerns directly with the parties involved rather than on social media. Ruah’s 50 Lives 50 Homes project manager Leah Watkins said Ruah would be providing information about the project which offered services to house and support homeless people. “At the forums we are looking to share our direct experience of working with homeless people to help local residents understand some of the underlying reasons break some myths about homelessness,” she said.